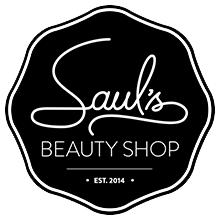 Saul's is now carrying beardbrand! A beautiful line boasting natural ingredients and 3 fresh lovely scents (and unscented) this line is a wonderful addition to your bearding needs. Their mustache wax comes in a pushup lipbalm container, making it easy to carry around should you need a touch up (or not have a chance to get home). They've been featured (along with other lines we carry Brooklyn Grooming, and Bluebeards) in The New York Times and Men's Journal .